Rehab Treatment Advice. Article. WeDoRecover.com Drug Addiction Rehab and Treatment Advice. 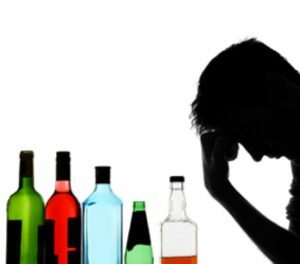 Addiction to alcohol and other drugs consumes not only the life of the addicted person, but that of his friends and family as well. This article will discuss three factors that when firmly in place, provide people addicted to alcohol and other drugs a good chance at full recovery. The best rehab treatment advice, however, is to never give up. Like most chronic diseases, people with addictions to alcohol or other drugs are prone to relapse. This doesn’t mean that rehab treatments don’t work or that you don’t have what it takes to get well and to stay well. Contact one of our drug addiction treatment consultants today for advice on the best rehab treatment centres. Most addiction rehabs are approached by family of the addicted person asking for advice to get their loved one some treatment. Whether the drug addict is intervened upon to enter a rehab centre and receive addiction treatment or finally desires to change, they will need all the help which they can possibly get. Effective drug addiction rehabilitation is about holistic treatment. It is not purely for limiting or eliminating the abuse of substances, it is about supporting addicted and alcoholic people in making lifestyle changes that will support a future recovery. Rehab treatment is geared towards helping drugs addicts to recover by teaching them how to clear away the wreckage of the past, learn to enjoy what’s present today and learning to make healthy choices that sustain recovery and build a positive future. A quality drug addiction treatment centre will advise people addicted to alcohol and other drugs how to live as healthy a life as possible. Once addicted people have learnt in rehab to live fruitful lives that feel wholesome, meaningful and productive, they have a precious commodity that they don’t want to tarnish or lose. They protect their lives’ in the same way people who’ve never been addicted do. The goal of any quality drug addiction rehab treatment is to teach addicted patients to cope with emotions, to communicate effectively with those around them and to handle the everyday pressures of life without needing to use substances to get through the day. As with other chronic disorders, it’s advisable that the rehab treatment you choose includes talking therapy sessions as well as medication to deal with the drug addiction. Rehab treatment generally works together with a large staff as therapists, medical experts, counsellors, clergy and others advisors may also be part of the addiction rehabilitation. Addiction rehab treatment itself will not remove the craving for drugs or alcohol, however monitored medication by professionals may help to reduce the craving and prolonged rehabilitation will educate and advise addicted patients how best to take responsibility for their illness, much like a diabetic would learn to take charge of his treatment and manage his condition. Drug addicts become physically dependent upon their choice of substance and we’d strongly advise against simply stopping using whatever drugs you’re addicted to. Please see a medical professional for advice on how best to taper off and detoxify. Drug detoxification is the process of withdrawing from the substance, usually under the advice of a doctor who’ll oversee the medical intervention. Detox is the preparation for rehab treatment. Addiction detoxification alone rarely has much effect on addiction, but detox followed by rehab and aftercare treatment is the most advisable as a successful combination to long term recovery. Drug addiction detox will take place in hospitals or residential rehab’s with experienced medical supervision and usually takes around three to five days at the very least. More severe cases may take longer. In some cases it can be dangerous and even life threatening to withdraw from drugs and or alcohol. Please call us to find a treatment facility close and to learn how best to detox. If you’re looking for a referral to a quality rehab treatment programme, why wait? Call us right now. The purpose of a drug addiction detoxification is to reduce the emotional and physical instability which results from substance withdrawal. The aim of drug addiction rehab is to help clarify the patients situation and to help devise the best route out of active drug addiction through effective treatment and into active recovery. Drug Rehab Settings – any severe addiction will need to be treated at a rehab treatment centre that can provide a medically managed detoxification. These rehab centres are generally residential with medical supervision from those who are experienced in dealing with substance abuse. Less severe substance abuse or binging may be appropriate to treat on an outpatient basis. Addiction Rehab Methods – medication, individual counselling and group therapy sessions, and mentoring for a substance free future are all necessary components of rehabilitation. Duration of Rehab – quality drug addiction rehabilitation program can last anything from 21 days to 90 days and longer. For severe addictions it’s advised that the longer the rehab treatment, the better the results. Desired Results of Rehab – continued abstinence of drugs or alcohol as well as an improved health and social functioning. Continued care is advised on leaving the rehab centre as a part of an aftercare plan. Continued care, or aftercare, is the guidance and support available to the patient once their treatment in rehab is completed. It offers the availability of programs and support groups to aid the transition back to life outside the rehab centre. Usually the first three to six months after rehab treatment is where the patient is most vulnerable to relapse. Aftercare offers support groups and ongoing addictions counselling to advise the patient how best to deal with the new challenges of sobriety in a healthy manner. Aftercare usually provides a weekly group meeting facilitated by an addictions counsellor from the treatment centre for ex-patients to attend and benefit from each other’s experiences. Being open to learning form others and perhaps even taking advice is a useful addiction recovery tool. These aftercare groups normally continue for the addicted persons first year after treatment in rehab and aim to help recovering addicts to manage their lives in a healthy fashion together. Error: Error validating access token: Session has expired on Wednesday, 23-Jan-19 20:59:23 PST. The current time is Thursday, 25-Apr-19 14:51:07 PDT.